The TNF C70 ceiling is a completely new approach to comfort on-board ships and offshore units. TNF C70 is two panels in one panel, solving many different problems at the same time. 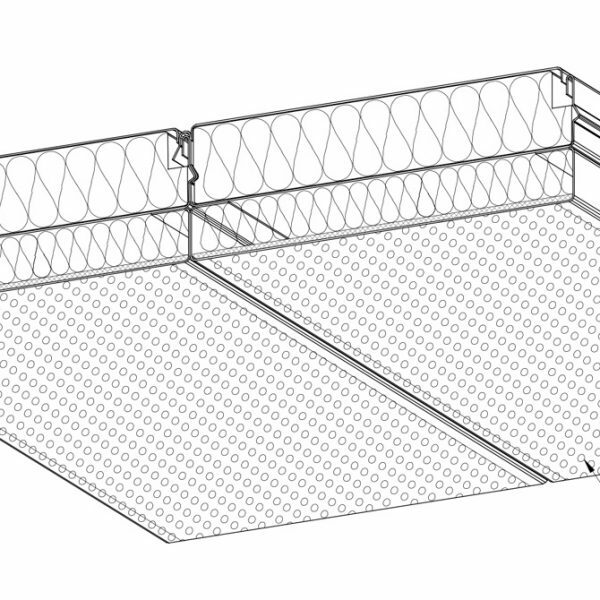 The TNF C70 ceiling is constructed with two panels, one base panel for fire integrity and one perforated add-on panel for noise absorption. The design with the combination of two panels makes it possible to use one base panel for fire integrity and the perforated panel for noise absorption. Fire integrity will then always be at least as good as the fire integrity for only the base panel. Different approved base panels can be used together with different noise absorption panels. The noise reduction of the combined panel can be made extremely high due to the possibility to combine two or three steel surfaces with different thicknesses and different densities of rockwool. The minimum thickness for the B-15 base panel is 25 mm. The noise absorbtion can be optimized by the use of an acoustic felt as a layer between the rockwool and the perforation. Such a layer is needed to prevent fibres from the rockwool to reach the room. If aluminium foil or any other material with a flat surface is used as layer, it will reflect noise and therefore eliminate or strongly reduce the noise absorption effect. The acoustic felt has to be porous enough to participate in noise absorption at the same time as it must prevent fibres from reaching the room. Provided the noise absorption arrangement has low flame spread characteristics, it will not influence the fire integrity. In reality it will influence fire integrity since we are adding more rockwool and another layer of (perforated) steel. The thickness of the noise absorption panel and the density of the rockwool can be optimized for the relevant noise absorption. 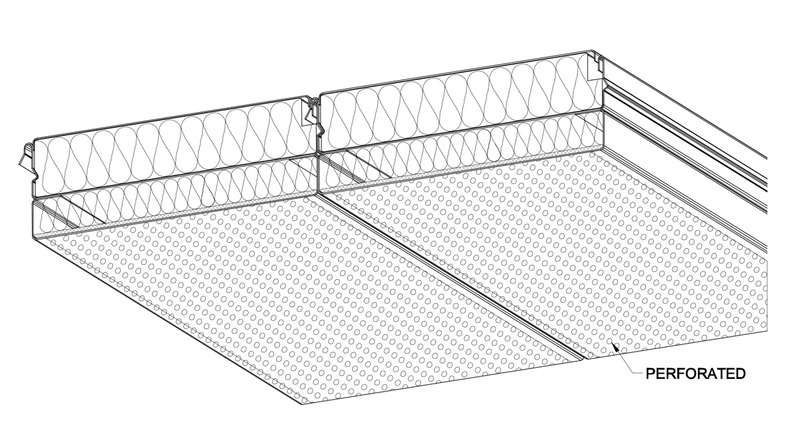 The TNF C70 ceiling is extremely strong due to the combination of two panels which are fixed together. galley areas, where fat particles in the air will penetrate the perforation and over time create an unhealthy environment and a risk of fire.